One of my favorite actors, Oklahoma native James Garner — star of TV’s Maverick, The Rockford Files, and (for you young ‘uns) The Notebook — plays Marlowe, so I’ve been dying to see the film. And as it so happens, while scanning an Asian toyshop (of all the places in the world) on Clement St, I was able to pick up a copy and watch the film for the very first time. Now, you may be asking yourself, “What in the hell does all this have to do with Bruce Lee and/or Hong Kong cinema?” Well, I’ll tell ya. 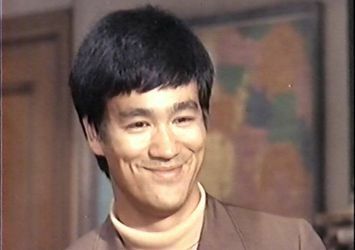 Marlowe marks Bruce Lee’s American acting debut in a full-length feature film. 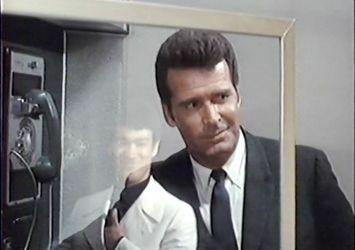 Scripted by one of Lee’s students, Sterling Silliphant, Marlowe features Lee in a bit part, playing a menacing thug named Winslow Wong (who, by the way, doesn’t appear in the Chandler book at all). Pretty amusing, eh? Lee appears again in the film, but I won’t link to a clip of his final appearance, so as not to spoil the experience if you’re so inclined to catch Marlowe on TV, VHS, or “On Demand” someday. Lee fans might feel a little insulted by what happens, but I found the outcome of the fight to be pretty amusing, considering how invincible Lee’s characters tended to be in his own martial arts films. The way things go down, you might be tempted to read this as Lee making fun of his image. Too bad he didn’t have an “image” to poke fun at — The Big Boss, Fist of Fury, Way of the Dragon, and Enter the Dragon hadn’t happened yet! This entry was posted on Sunday, February 7th, 2010 at 10:44 pm	and is filed under Raymond Chandler, Philip Marlowe, James Garner, Bruce Lee. You can follow any responses to this entry through the RSS 2.0 feed. You can leave a response, or trackback from your own site. I am actually old enough to remember watching the tv series “Longstreet” when Bruce gave self-defense lessons and advice to the blind detective. Needless to say, he made an impression. Hi Sanjuro! No doubt you have discovered the H-Club and met Robin Kwok & his ultimate wing-chun/bruce lee collection. Did you check out Green Apple Books and the other Asia Star location too? I don’t blame RK for not permitting photos in his shop — too many gawkers who come in and don’t buy anything. Talk to you again soon. Diana — I’ve really wanted to see his stint on “Longstreet.” I’m surprised nobody tried to buy the rights and use the footage to revamp GAME OF DEATH. Wongsaurus — Hey! It was indeed at the Heroes Club where I purchased MARLOWE. And I’ve browsed Green Apple, and bought a couple flicks at Asia Star. Might check out their other locations, too. I’m a San Franciscan now, so look me up and let me know how you’re doing!